Better knowing your audience fuels engagement and each engagement provides more knowledge. With this intelligence, the opportunity exists to deliver exactly the right message to the right person at the right time. Why do some companies struggle to connect with individual customers? Is it something that they did? Something they said? Something they didn’t say? 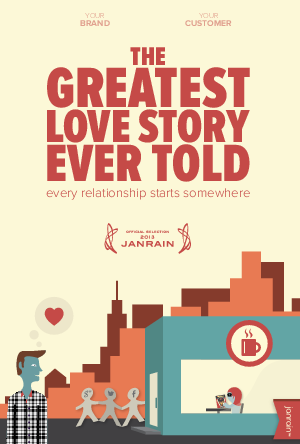 The Greatest Love Story Ever Told explores those questions in the context of personal relationships and romantic comedies. It’s not easy, but personal and customer relationships are more alike than you think.